When Chevrolet redesigned the Equinox, they got every detail just right. It's a really good size, being roomy without being too big. It has a fuel efficient engine, yet its still really fun to drive. 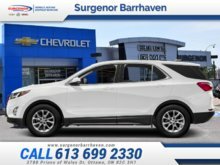 This mid size crossover is stylish inside and out and the interior is packed with desirable technology and safety features. 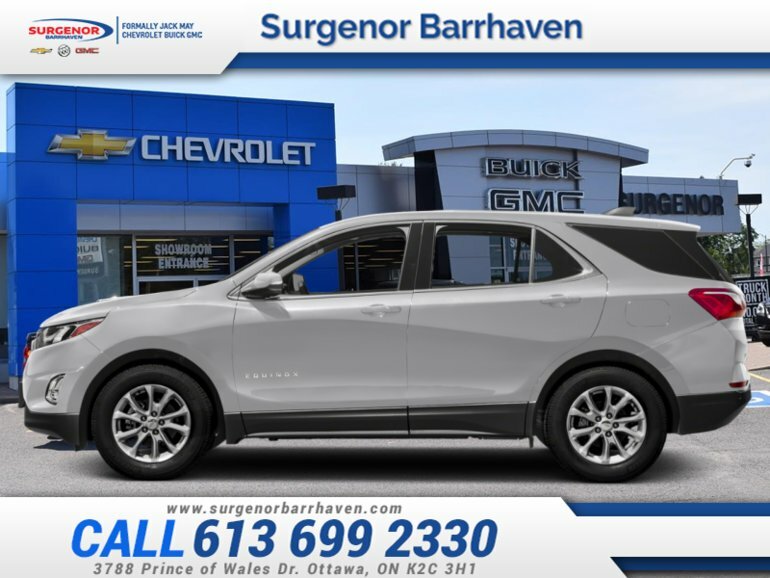 For a great all-arounder, it's hard to beat this 2019 Chevrolet Equinox. This silver ice metallic SUV has an automatic transmission and is powered by a 1.5L I4 16V GDI DOHC Turbo engine. Given that frugal motor it gets 9.2 L/100 km in the city and uses just 7.3 L/100 km out on the highway according to Transport Canada. Our Equinox's trim level is LT. This Equinox LT is an excellent blend of features and value. It comes with a MyLink infotainment system with Bluetooth, SiriusXM, OnStar 4G LTE, premium cloth seats which are heated in front, a power driver's seat, a rear vision camera, remote start, air conditioning, steering wheel-mounted audio, cruise, and Bluetooth control, HID headlights, and more. 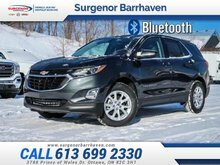 This vehicle has been upgraded with the following features: Bluetooth, Heated Seats, Rear View Camera, Remote Start, Onstar, Siriusxm. Total rebate of $450 is reflected in the price. Credit includes $450 Cash Delivery Allowance. 1.99% financing for 84 months. Incentives expire 2018-10-31. See dealer for details. 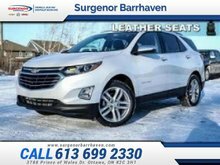 Ce véhicule, Chevrolet Equinox LT - Bluetooth - Heated Seats - $195.02 B/W 2019 vous intéresse?